Did we mention we loved harris tweed? We can’t say enough times how much we love working with Harris tweed. It is so lovely and such great quality and made in dear old Great Britain…anyhoo, there are some lovely Harris tweed pieces in our Etsy shop just now – perfect attire to cheer up a dreary January day! 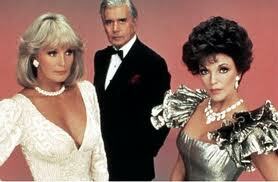 Wanda, Roy & Kitty this Hogmany! Wow…2012 already! Our hogmany was very happy indeed – a fantastic Dynasty themed party at Miss Kitty’s house full of peplums, shoulder pads and glitzy clip on earrings – we had a ball! So now we are all full of great ideas, good intentions and a couple of Strumpety resolutions. Firstly, to be more glamourous on a daily basis! We both wore fake nails to the party – kitty a set of long, burgandy talons by Cosmopolitan (inspired by Alexis Carrington) and Wanda a natural french manicure by Elegant Touch (ala the all American goody two shoes Krystal) – they were plastic fantastic but looked amazing! We felt like instantly groomed glamour pusses so nice nails are now an essential and we’ll be pouncing on any groupon manicure offers! We also endeavour to have lovely locks – every day. Wanda was stunned recently when she realised how beautiful her hair is when she actually blow drys it properly rather than half-heartedly (Kitty is blessed with fabulous naturally curly hair – lucky thing!) and if it is a bad hair day…well, a natty turban will do the trick! Our second resolution is to organise more vintage themed happenings with our pals! We loved Eurovision, our evening at the seaside, our silly wiggle experiment and our Hogmany soiree but we did intend to do many more fun things whilst dressed in fabulous clothes so we’ll make that a 2012 priority! It's gorgeous, but, so last year! 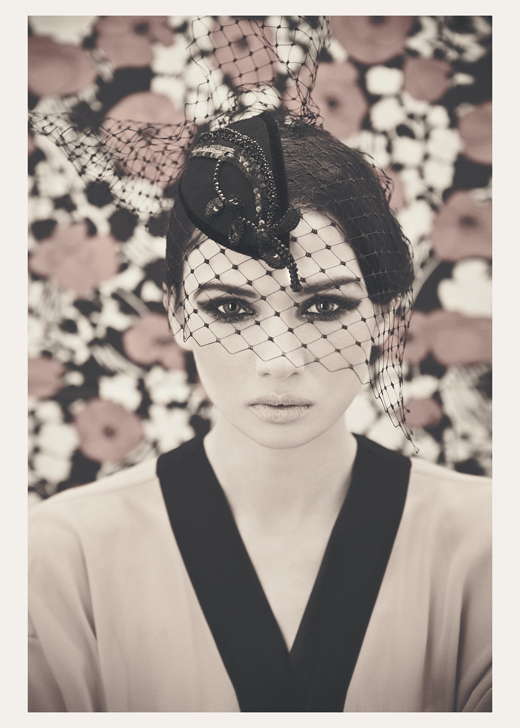 Lastly we resolve to design lots of new hats, collars and other beautiful things this year. We have some wonderful ideas and some great inspiration to draw on so watch this space! 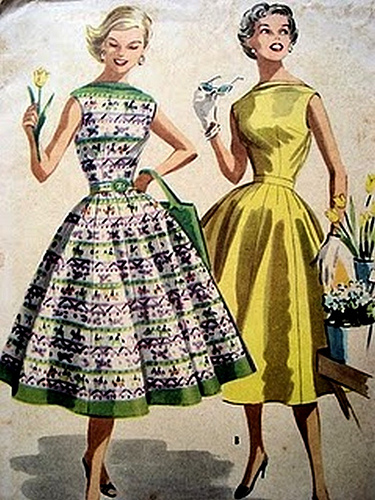 What Wanda and Kitty may be wearing this spring! Well, we’ve given up dreaming of a white Christmas here in Edinburgh (we do love the chance to wear a glamour hat with a pair of snow boots) and our thoughts are already turning to our spring summer 2012 collection. We won’t give away too much just yet but expect some gorgeous new hats, cutaway collars, cute crisp cuffs along with a few new additions to our bridal range. 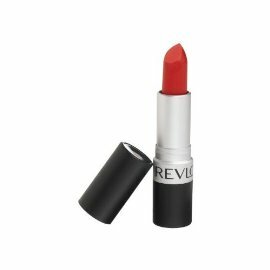 Also, if Santa wanted to pop one more thing into Kitty’s stocking could he make it a Revlon matte lipstick in “Really Red”? It really is just her shade – a perfect brick red. At an advance screening of The Artist, we were taken quite dizzy at the sight of the wonderful cloches and costumes on display! It is such a beautiful film, so innocent and magical and glamourous – a real throw back to the golden age of the silent movie! We lapped it up! Flapper isn’t really an era that either of us “do” – we’ve both got hips and always think that those drop waists suit boyish figures better – but after seeing this we could be persuaded. Kitty already has ready made 20’s waves and the first 10 minutes of the movie made Wanda reconsider growing her hair and chop it back into a short bob tout suite! The Artist is on general release from 6th January – we predict oscars! To use popular text speak, O.M.G…it’s December…already! To celebrate the fact that Santa is on his way, we’d like to offer 10% discount in our Etsy shop to anyone who signs up to follow our blog or “likes” us on facebook this month! Just follow the links on the right hand side…you know what to do! 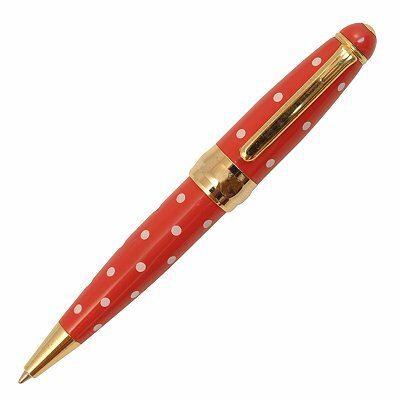 Speaking of Christmas…if Santa is reading this, we’d love a Campo Marzio Minnie pen! They are just too cute, clutch bag sized and beautiful writers! They come in lots of clashing colours – Kitty favours red & white whilst Wanda loves pink and green, though any colour would be lovely! 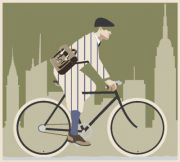 It is well known that here at strumpet towers we heart tweed (especially of the Harris variety) and we thought we’d draw your attention to a marvellous event happening (once again) in good old London town next weekend – The Tweed Run. Billed as ” A metropolitan bicycle ride with a bit of style”, it is an entirely civilised affair where the 400 riders are encouraged to dress in traditional cycling attire and even stop for a tea break! Now that’s our kind of cycle! 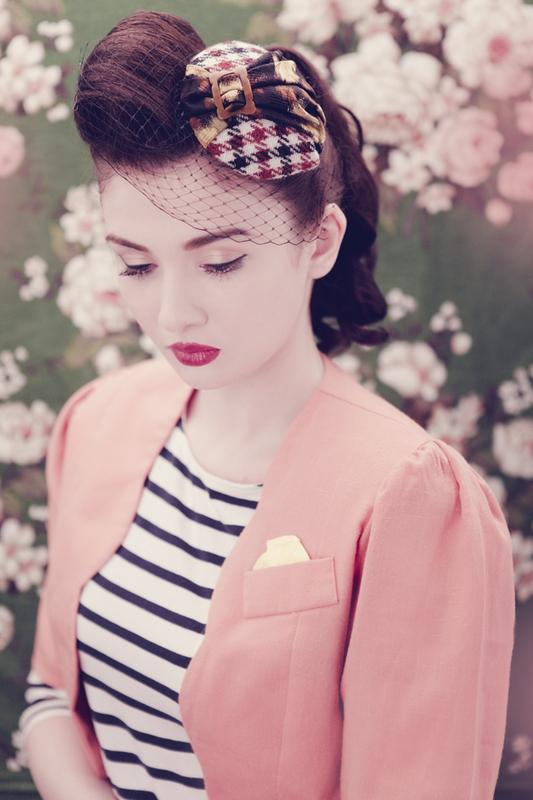 With many men at previous events sporting a flat cap, might we suggest something a little more refined for the ladies? 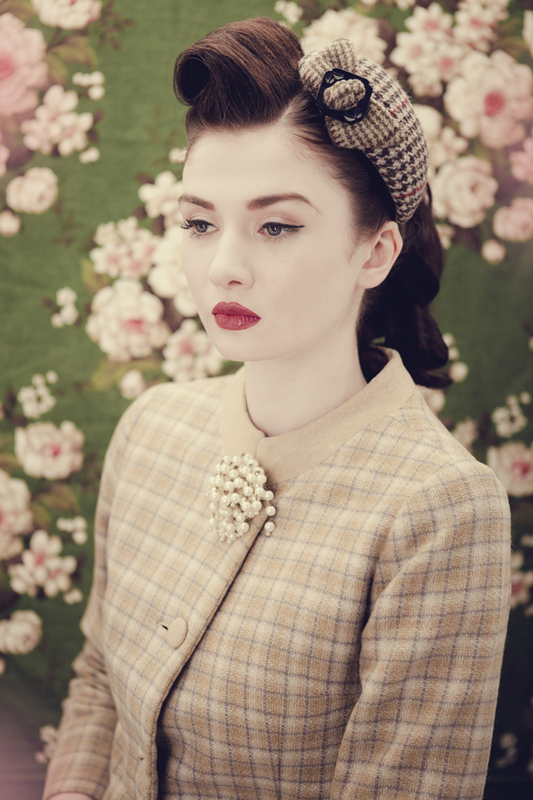 Maybe a lovely Amelia hat in Harris tweed…our Strumpet starlet Tara looks all set to peddle…ready, steady, go!